With distribution in 42 countries around the world, Trex – the world’s largest manufacturer of high-performance composite decking – is no stranger to the global marketplace. 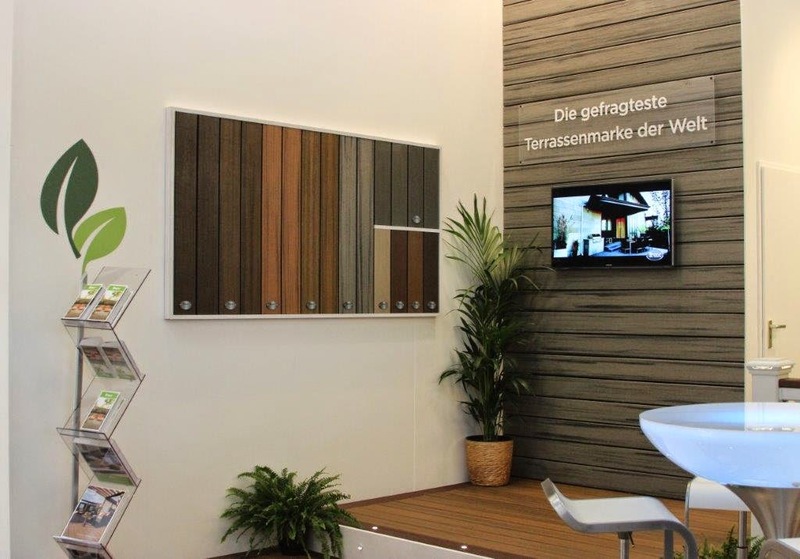 To support Trex’s presence at the 2015 BAU Trade Faire in Munich, Germany, LCWA teamed with our international PRGN agency partners to promote the brand and its latest composite decking products and outdoor living solutions. Thanks to the collective efforts of the international Trex PR team, the Trex booth at BAU hosted editors representing more than 25 print and online publications from throughout Europe. Media outlets in Germany, France, Switzerland and the United Kingdom all were eager to share the Trex story with resulting media coverage already exceeding four million impressions – including features in the U.K.’s Building News and Switzerland’s gplus magazine. Next stop, Paris, where LCWA and our agency partners will be promoting Trex at Batimat 2015.